Many of these posts are WAY overdue – but things have been busy, life happens and time flies – you know the drill. 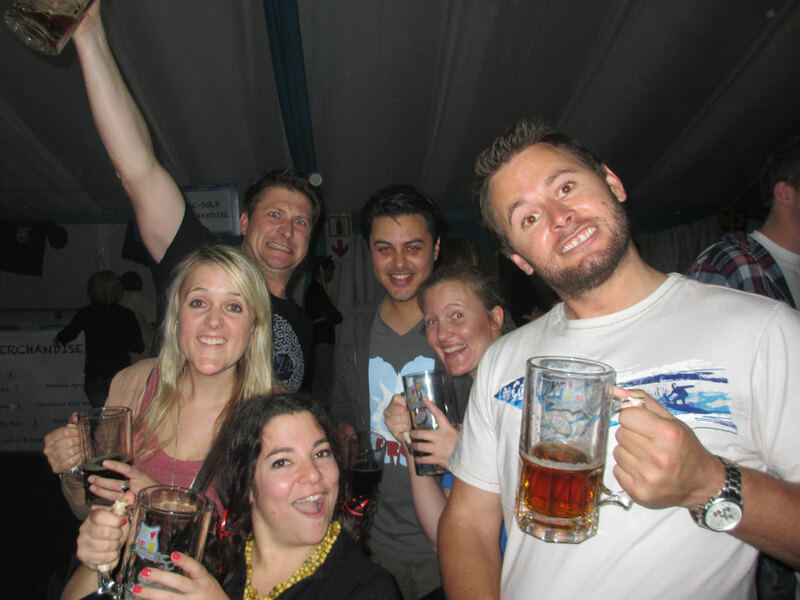 A while ago we went to the Bierfest that t0ok place at the Newlands Brewrey. The festival takes place over 3 days and has afternoon and evening sittings. We got a huge group together and went on the Saturday night. Thank goodness we got booked a table so we had a place to conregate and sit down at and of course put your beers down (those glass mugs are way heavier than they look – my little hands took strain). We had an absolute blast and even though it took forever to get your waitresses attention and then forever for your order to arrive we jolled lekker. Dancing to the Oompah bands, giving each other new names, Helga, Klaus, Olga and and and. I really do have awesome friends who made life a whole lot of fun! See how much fun was had? 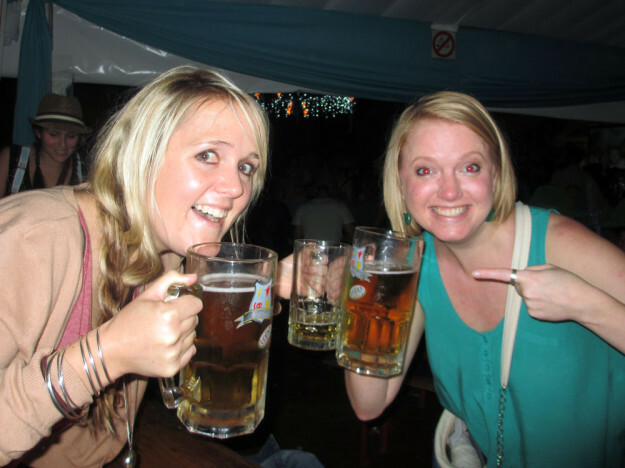 This entry was posted in Play and tagged beer, drinks with friends, festivals, friends, fun times. Yikes! That looks like the pint of whatever it was that Julia and I had in Bath ( the place not the tub!) – just way too much for me to drink!